Silo Inspection | USA Silo Service inc. In addition to silo maintenance and cleaning, USA Silo Service provides inspection services through our parent company Marietta Silos. 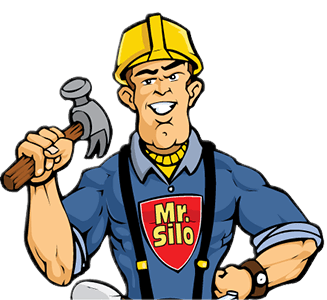 In choosing USA Silo Service for your silo maintenance and cleaning needs, you get the benefit of a full-service silo company that can assist you with all of your silo needs. As skilled technicians, our team can notify you of any concerns uncovered during a cleaning project or other routine maintenance that require a professional inspection. Our inspection services and any resulting repairs are provided under one purchase order, so the issue is addressed quickly and conveniently using the information you have already provided. Choosing USA Silo Service connects you with numerous other silo services that limit your downtime and provide you with efficient, cost effective solutions to remedy issues big and small.